This store is operated by a pair of Korean couple. 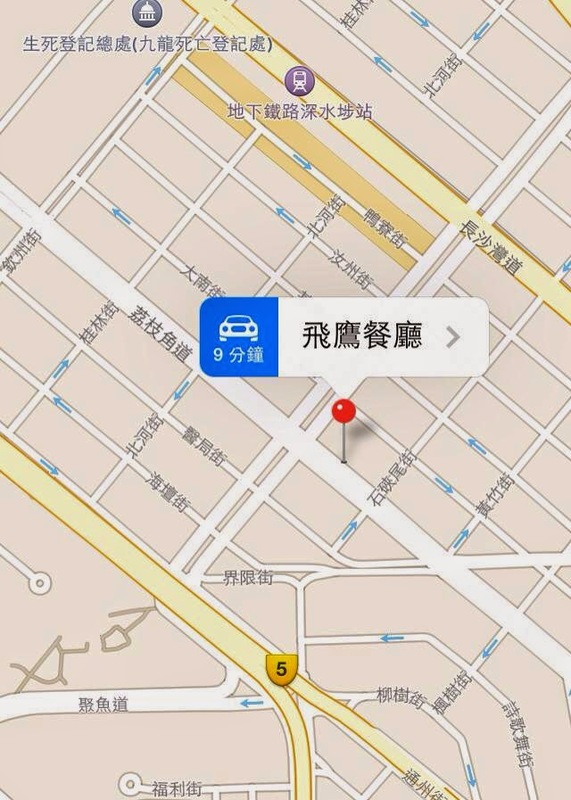 However, both of them can only listen a bit of Cantonese, it will be better to use English to order food. The store only sells Korean Fried Chicken with 2-3 pieces of Tteokbokki (韓辣炒年糕). There are 3 different favors, which are Korea spicy, soy sauce and sweet&spicy. They provide 3 different sizes and customers can choose to enjoy the chicken with grape or pear juice. This time, we have tried the Korea spicy favor. The chicken is outstanding comparing with other small stores. The chicken is not really very spicy as our imagination and the Tteokbokki is really soft and tasty, we even suggest they can provide the Tteokbokki on the menu individually. One more thing to remind you is that for better quality control, chicken they sell is limited every day and based on the first come first serve strategy. They usually start selling at 4pm, feel free to try if you love Korea food. Eggs in fried rice are quite dry while it is very oily in the bottom of bamboo. However, it is good very special that the taste of illicium verum is included (Of course, some people may not like it). For the chicken, it is not very smooth; but, the taste of sauce is absorbed by chicken. 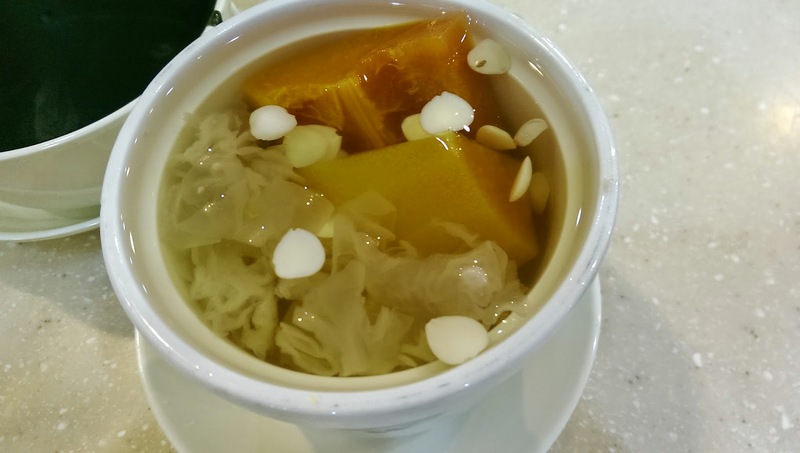 Although it is bamboo rice, not much bamboo taste is tasted. Unfortunately, they use Nongshim noodles. There is out of the taste of tomatoes. There is food dye only. 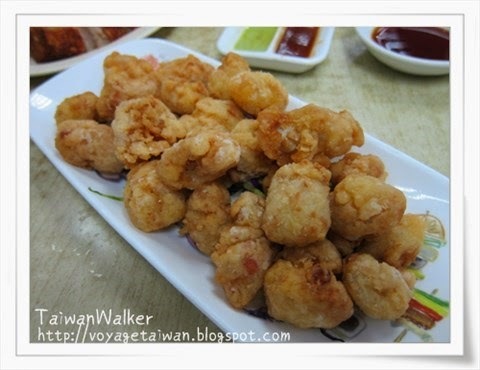 For the crab meat ball, although it is full in the middle, it is obvious that we can simply buy it in supermarket. In short, nothing is special. Cream toast - It seems that there is milk powder in the surface. Therefore, it is a little bit bitter because it is over-baked. Cream is inside the toast. Although there is not much cream, it is just good to prevent greasy. 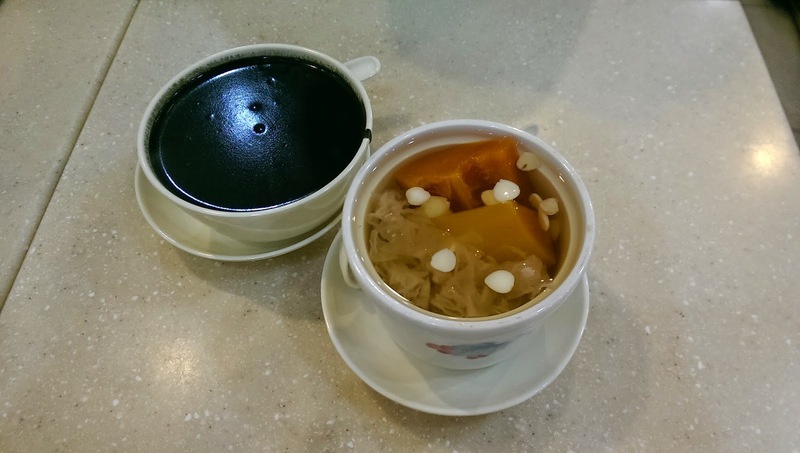 Milk tea and jasmine milk tea are full of the taste of milk. The taste of tea is not enough. 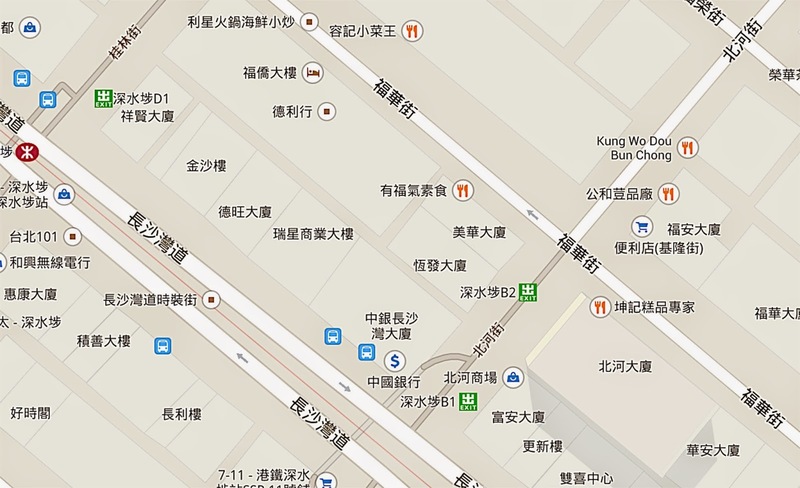 From Sham Shui Po MTR station Exit C1 to there is around 5 minutes by walking. Here is the map. 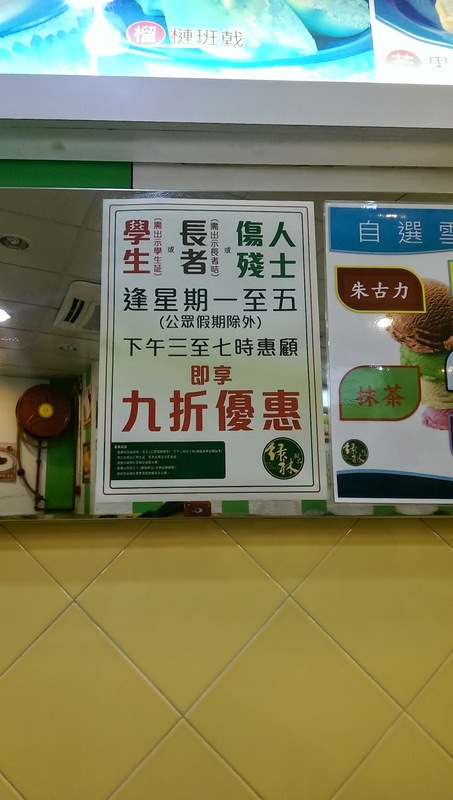 Many people said that Ban Heung Lau is a canteen of City University because students of City University would have meals at Ban Heung Lau and they love reunion in there. There are 3 must-try dishes : cold chocolate, peach and pork ribs with salad mayonnaise and diced beef. Under the bowl of Diced beef, waiter would ignite fire, it makes the beef keeping warm, so that the beef will be juicy. 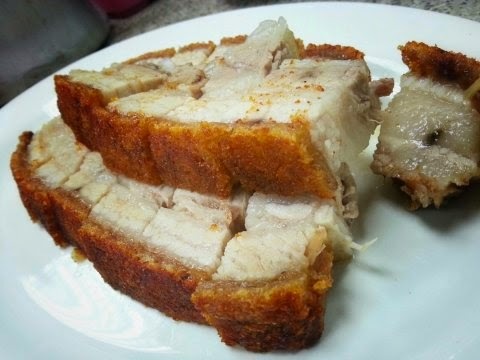 When I go there, I must order peach and pork ribs with salad mayonnaise even though it is not so delicious. Also, cold chocolate is really tasty because it includes cream upon the cup of chocolate.Be aware, cold chocolate with cream is only offered in dinner time. 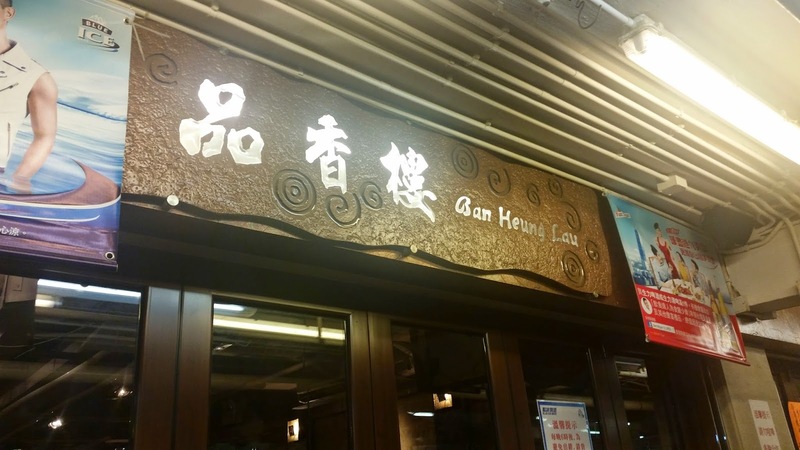 Luk Lam Dessert is a famous dessert restaurant which selling traditional dessert. 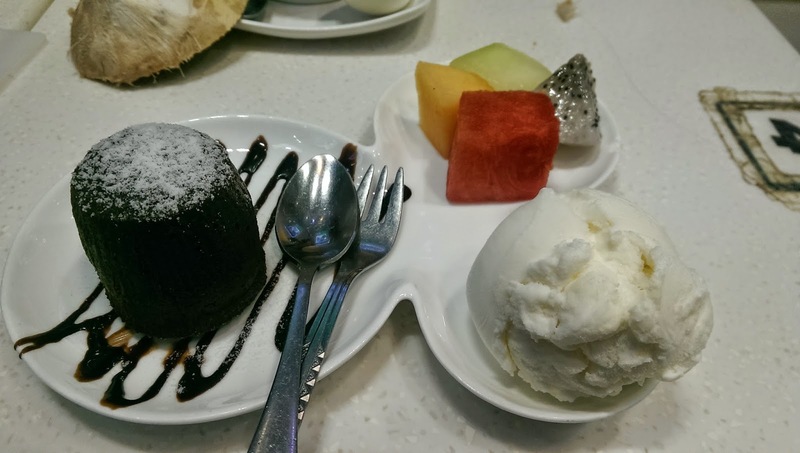 Today, we have tried 3 dessert. Sweeten level is lower than the others. It spreads papaya's scent and there had la lot of papaya.When we asked for re-heat, staff was willing to help. It's very sliding and sweeten level is acceptable. Also, it spreaded acent of sesame. A must try choice. The brittle outer and the juicy flesh are worth to try since this is one of the sell-well meal. Also, the raw material are come from their own farm so raw material are fresh! The size of each cuttle fish is bigger than other shop indeed. The most important is the quantity are much much more than our expectation. Next time we must try it again and again!!!!! 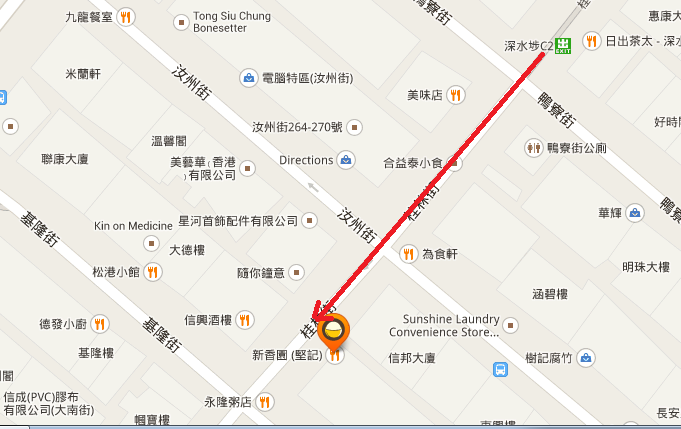 Sham Shui Po MTR exit D, walk by around 3 minutes will be arrived. 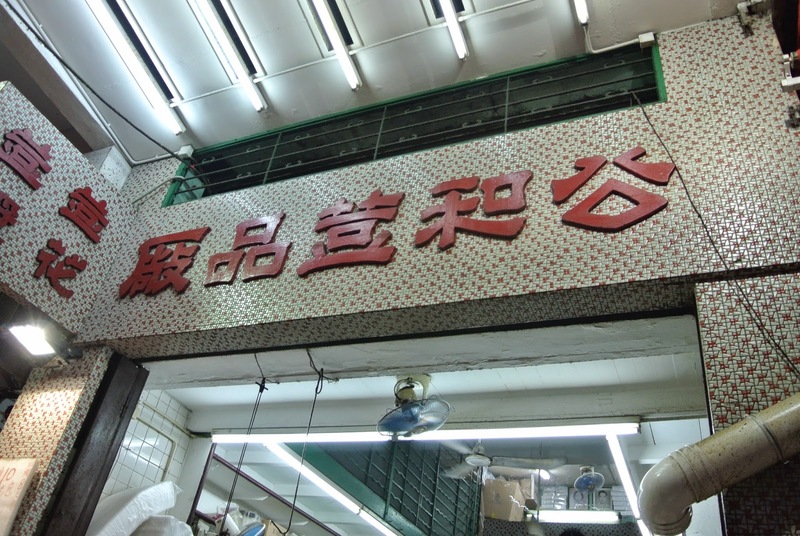 Kung Wo Dou Bun Chong was founded in 1893 by Mr Lok Bong. Their well-known soya products contributed to their success. 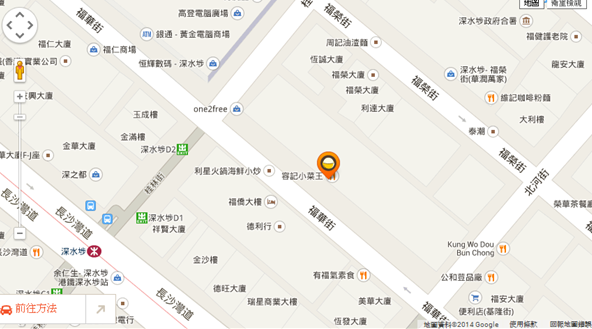 We highly recommend both local citizen and foreign visitor should try this store. 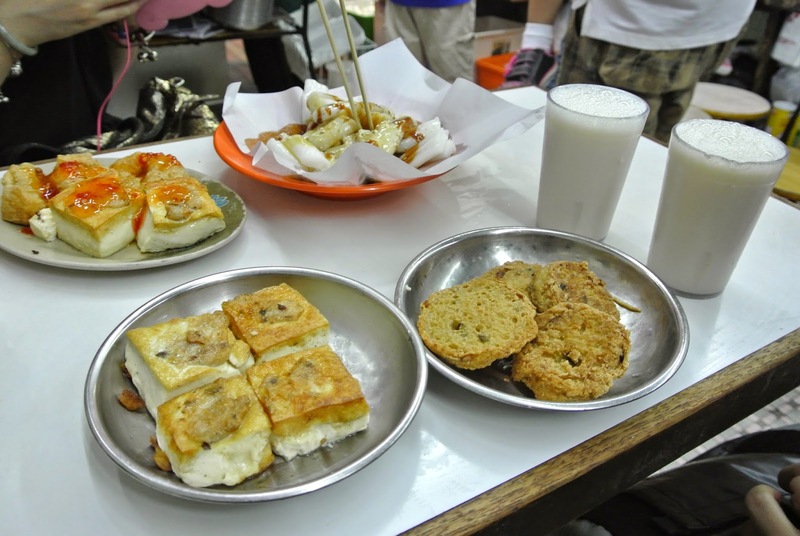 Today, we have tired soya milk, fried bean curd and fried Tofu. Soya milk is fresh and has rich taste of soaking. 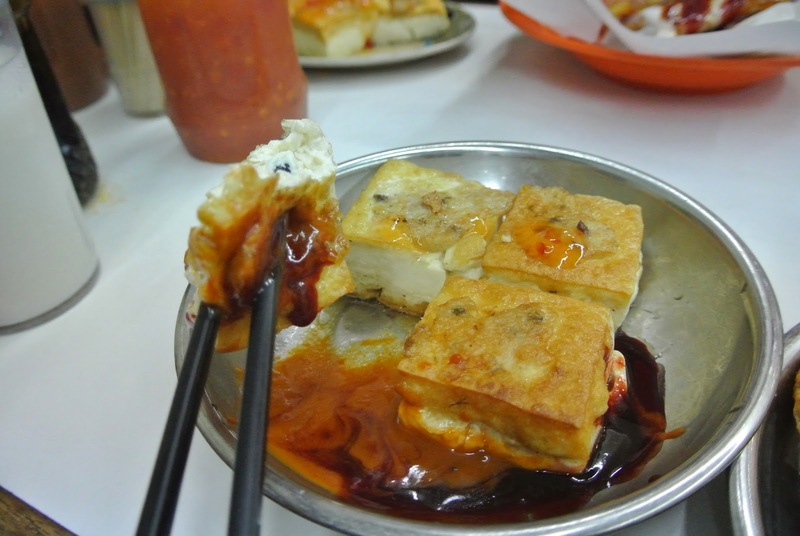 The fried bean curd looks really delicious. In fact, it does very yummy. 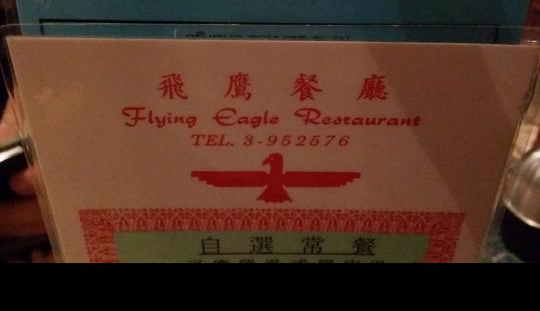 Their fired Tofu also taste great, too. Sitting in folding stools and the old square tables, made me feel like in the 1960’s. Hong Kong. 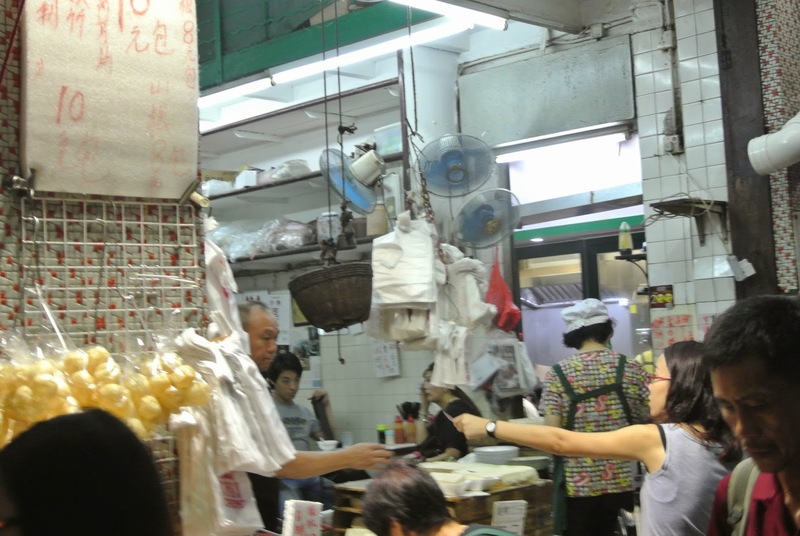 It is worth to try their soya food and feeling their traditional decoration of old Hong Kong. Nha Trang Thanh is located in the Market Complex, which is in the upper floor of wet market. 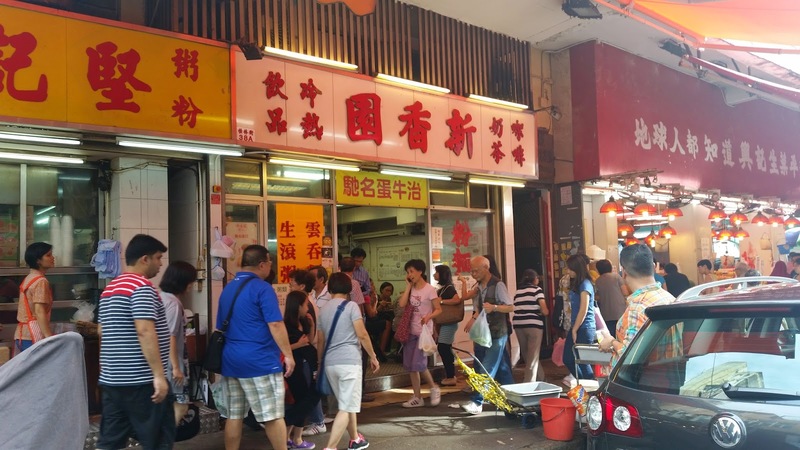 It can be named as reclusive food in Sham Shui Po. However, there is quite dark and wet. If you have high expectation in hygiene, you may feel uncomfortable. For us, we accept it! Lime Soda is fair to middling. There is a faint fragrance of lime. The sweetness is finely balanced while there is out of bitterness. 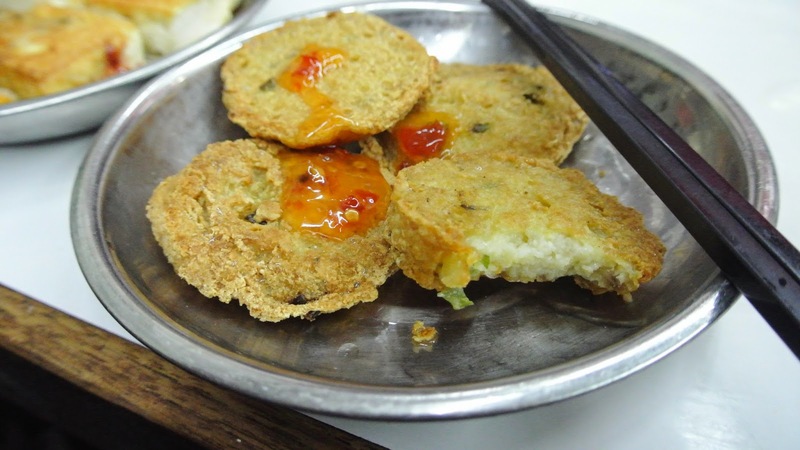 taste-texture of minced shrimp is also excellent. Other than this, chili and lime are free with each set. French-style ketchup flat rice noodle with sirloin - For the soup, it is very special that they used ketchup. Unfortunately, the taste of tomatoes is not as concentrated as expected. 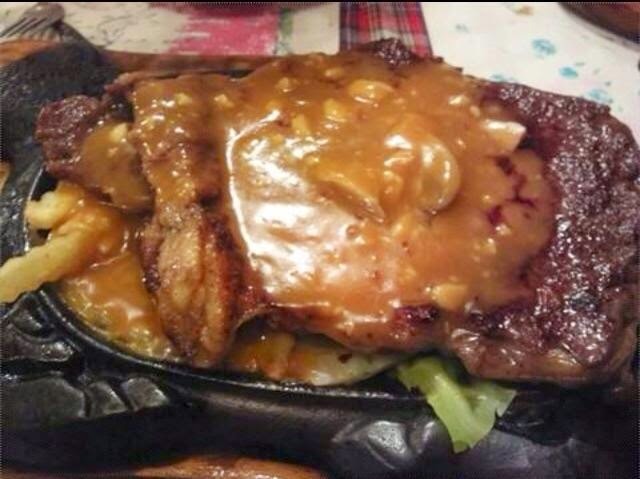 For the sirloin, although it is quite chewy, its suitable size is convenience to eat. The flat rice noodle is very smooth. It also absorbed the taste of tomatoes. It is appetizing. From Sham Shui Po MTR station Exit A2 to Nha Trang Thanh is around 5 minutes by walking. Here is the map. 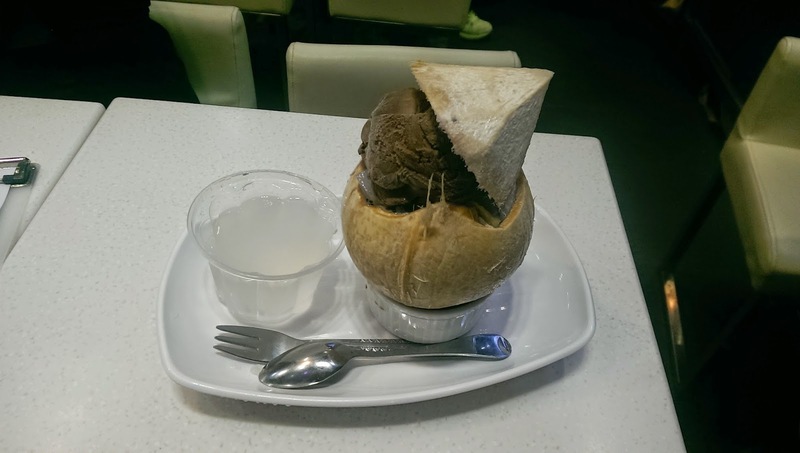 There are tapioca pudding and sesame rice balls inside the coconut. There a little stuffing in the rice ball and the taste of the coconut milk is not concentrated enough. Sweeten level is just fine. An ordinary Soft chocolate. The taste of the ice-cream was a quite rare. If you don’t like too heavy chocolate, you can eat with fruits. It is a coconut mixed with fruit tapioca pudding and ice-cream. Chocolate ice-cream was full of taste of chocolate but it was sweet enough. 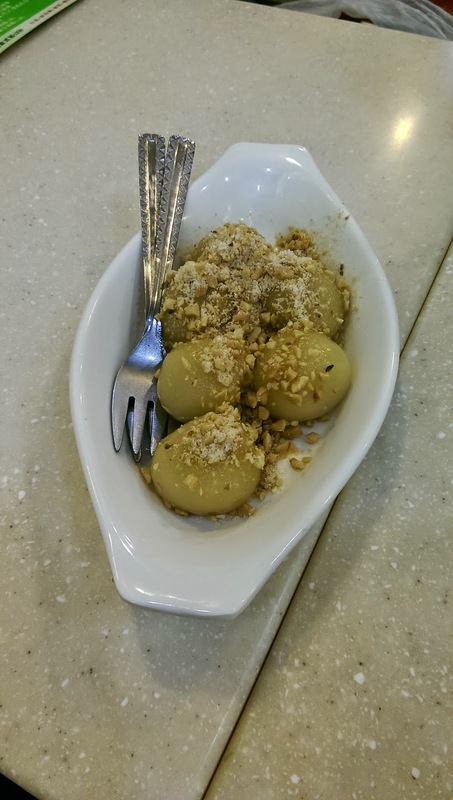 Fruit tapioca was similar with the others. 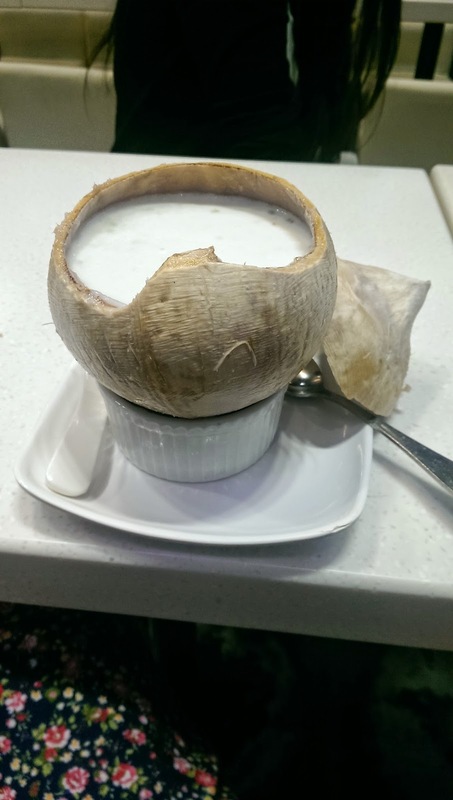 You can find out its special point if you add some coconut juice in it. You can drink the juice separately too. In fact, It’s a fashionable desert. 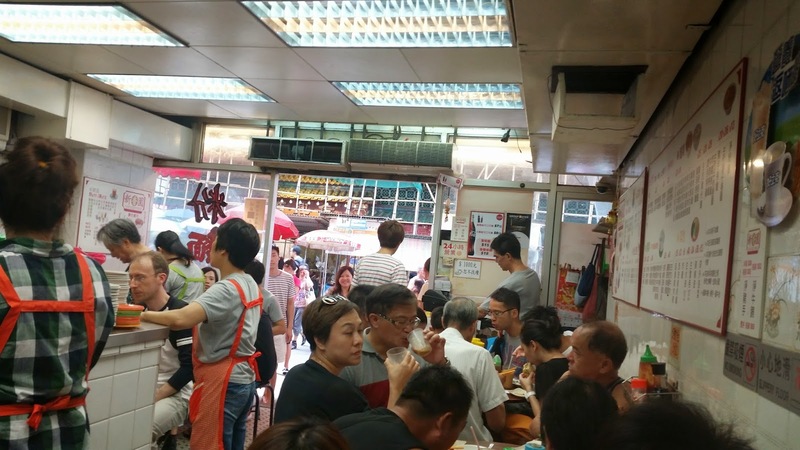 San Heung Yuen is a famous tea restaurant in Sham Shui Po. We tried beef and egg sandwich (one baked and one not baked), french toast, sausage noodles, red beans with milk ice and lemon coffee. Beef and egg sandwich is the highest ranking food in San Heung Yu, it is tasty, but we prefer ordering not baked sandwich cause it is more moist and fluffy. 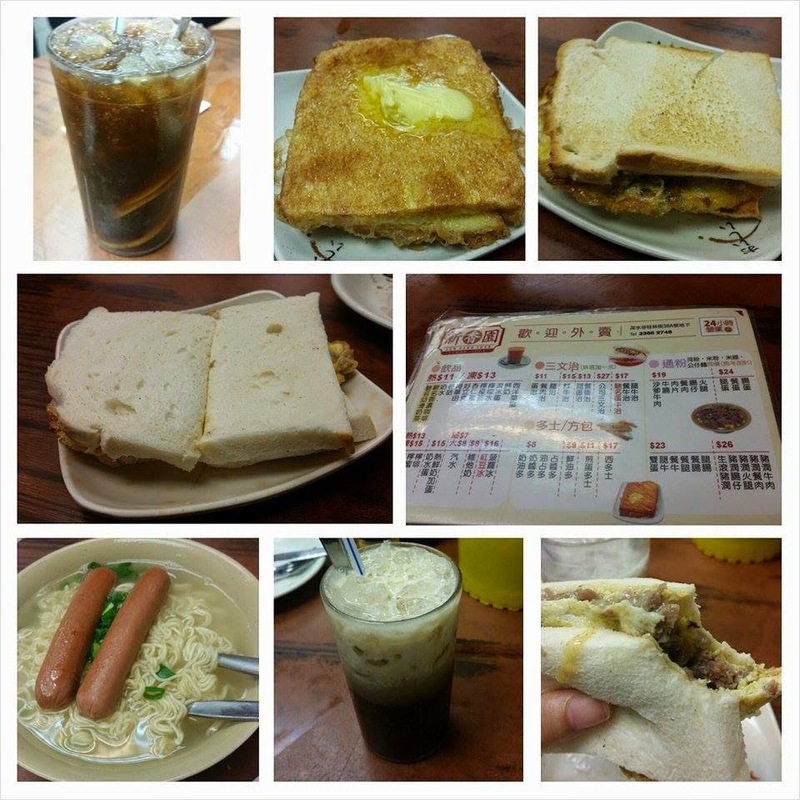 However, french toast and sausage noodles are not special, they are just the same with other tea restaurant. For the drinks, red beans with milk ice is too sweet. And the lemon coffee is a special drinks in tea restaurant, we can't imagine the taste about coffee mixing with lemon. It might be strange to those who never tried lemon coffee before, it tastes VERY VERY VERY good. They are really match expectedly. We highly recommend you to try it! 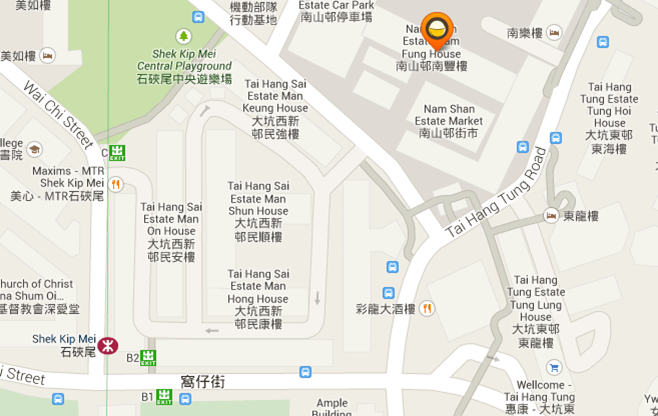 From Sham Shui Po mtr station Exit C to San Heung Yuen is around 10 minutes by walking. 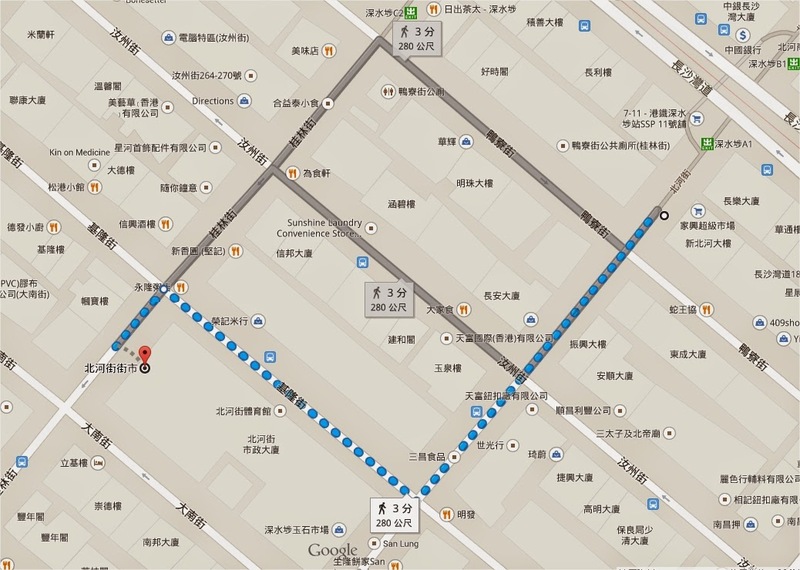 Here is the map. It is high cost performance value since the huge size stick. Various meet are provided, pork, beef, for example. It is hard to make decision as many of them are extremely tasty indeed. However, it must line up for a long time during dinner period if you don’t mind to spend time, it is great to try. 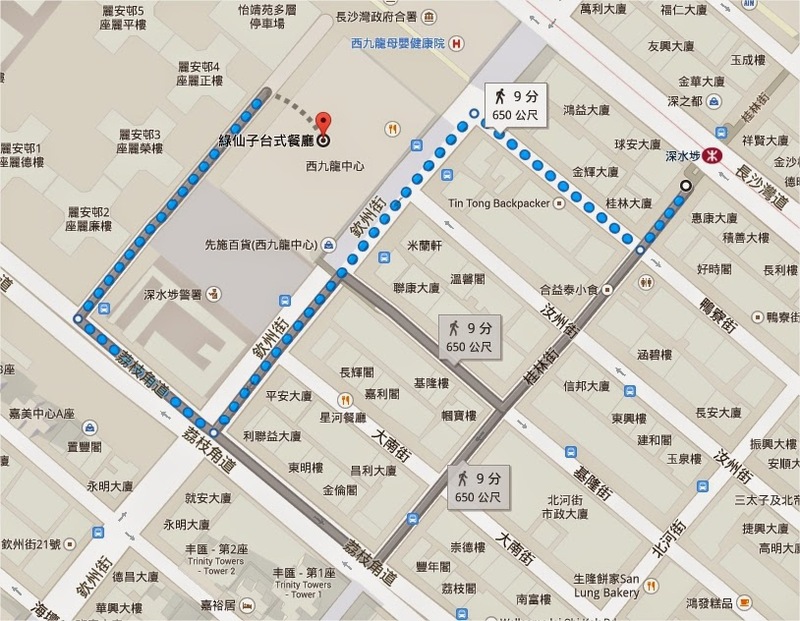 From Sham Shui Po mtr station to Flying Eagle Restaurant is around 15 minutes by walking. 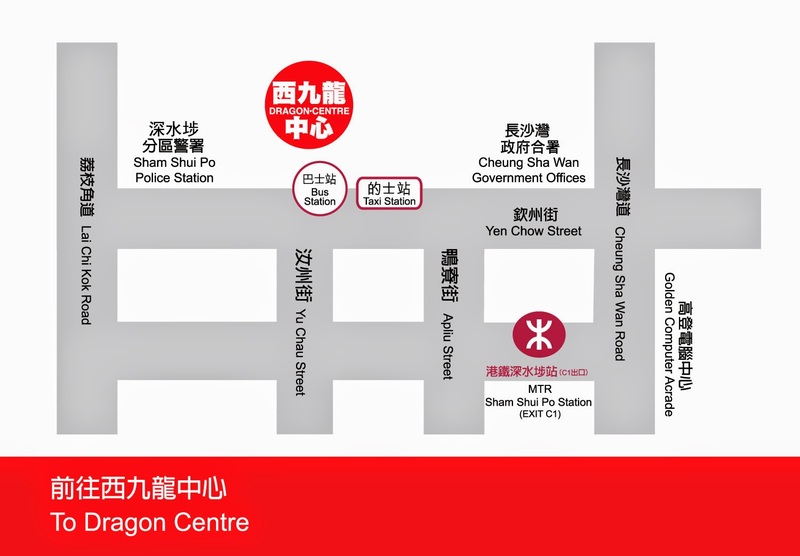 Here is the map. 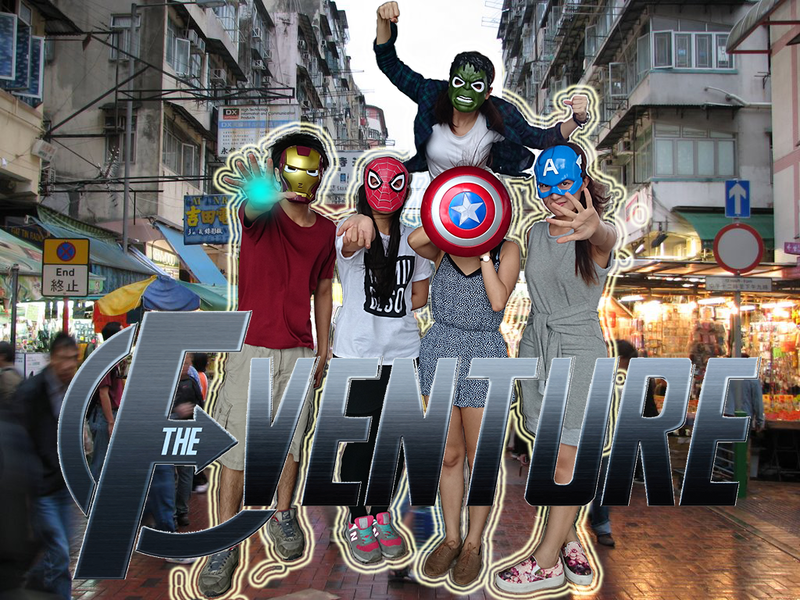 Welcome to the blog of F-Venture, which means Food Venture. 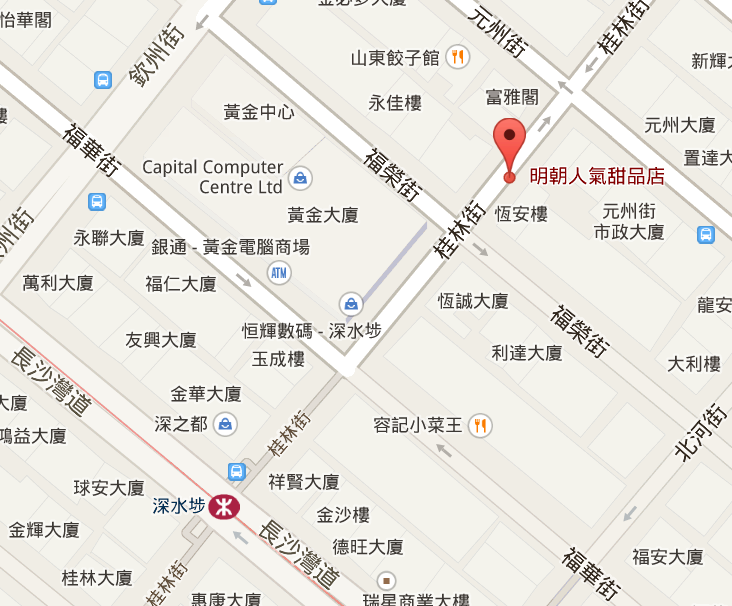 We are going to have a food venture in Sham Shui Po. 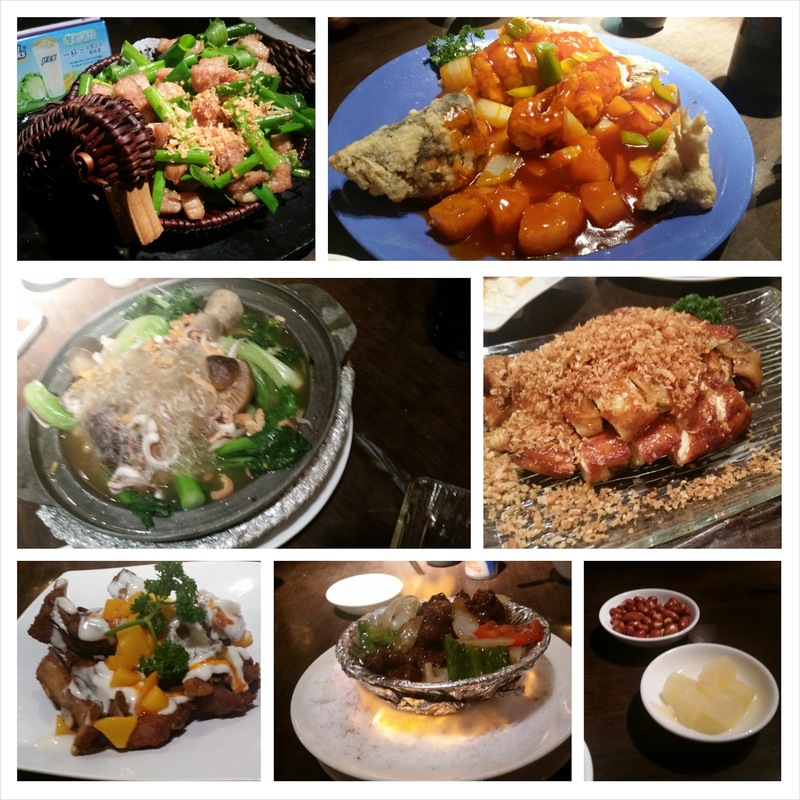 In this Blog, we will share our food reviews with you all everyday :) Enjoy it! We are preparing some videos! Hope you can follow our updated news!! !